We frequently post articles about stockbroker fraud. Every day we represent people who have lost their life savings because of worthless investments hawked by stockbrokers, investment advisers, insurance agents and financial planners. Unfortunately, when we get involved the investors have already become victims. Bad brokers sometimes can go for years before being stopped by regulators. An article in today’s Wall Street Journal offers some hope that regulators are beginning to take the problem of rogue brokers seriously. Everyone in this world makes mistakes. Even good stockbrokers can make mistakes. A recent analysis of state securities records conducted by the Wall Street Journal revealed that 87% of brokers’ records reviewed by the Journal showed no disclosures. 12% had one to four disclosures. About 1/2 of 1% had 5 to 9 disclosures and just 420 people (out of a pool of 558,000 brokers) had 10 or more complaints. The results are startling. They show that a tiny fraction of the tens of thousands of stockbrokers are what we call rogue brokers. Stockbrokers and their employers are required to disclose certain events such a customer complaints, arbitrations, lawsuits, bankruptcy filings, regulatory action and terminations. These events are all made available to the public free of charge on the Financial Industry Regulatory Authority (“FINRA”) Broker Check system. The SEC also has information available as well. Unfortunately, few investors check these systems. The brokerage firms that hire stockbrokers check them but we have found that very high performers are often given a “pass.” If a broker is bringing in lots of business, some firms overlook the customer complaints or just consider it a cost of doing business. More ominously, some firms seem to attract rogue brokers. These shops, often called “boiler rooms”, make as much money as they can in a short time. Frequently they are shut down by regulators only to have the principals set up shop a few blocks away. In an apparent reaction to the WSJ expose, FINRA announced it’s Office of Fraud Detection and Market Intelligence is zeroing in on rogue brokers; those that have multiple complaints yet still are licensed to sell securities. FINRA says it has booted about 1342 brokers in the last 20 months. Unfortunately, taking away the licenses of bad brokers won’t spell an end to investment fraud. It is certainly a great start, however. We have seen an increasing trend of financial planners, insurance agents and even accountants selling products that are essentially securities. These folks don’t even bother to get the proper licenses or are conned by smooth talking promoters into thinking they don’t need licenses. Before you invest, look into the background of your stockbroker or investment adviser. Also check the firm he or she works for. If a problem later occurs, will they still be in business? Will they have the financial strength to pay claims? 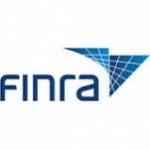 If your financial professional isn’t registered with FINRA, does he or she have the proper licenses? Don’t rely on what they tell you; get a second opinion from a trusted source. The name of our blog is Due Diligence. We write these posts to try and help people before they become victims. Unfortunately, the rogue brokers and con artists are becoming quite sophisticated. Many of our clients are physicians, lawyers, business owners and accountants – in other words, smart people. If you have lost your money in some type of investment fraud or Ponzi scheme, give us a call. We concentrate our practice on going after those that sold or facilitated the bad investments. Our goal is always to help you get back all of your lost investment plus damages. Most cases can be handled on a success or contingent fee basis. or by telephone at (414) 704-6731 (direct). Want more information? Our Due Diligence blog is text searchable.